Avatar Systems welcomes our newest member to our product family. OGAS has been the trusted choice for O&G Accounting Software for over 20 years. It offers an affordable and intuitive solution for the small to medium-sized business and includes everything you need to keep your business moving. OGAS is a complete, fully- integrated, multi-user oil and gas management system designed specifically for producers, operators, drilling companies, estates and trusts. 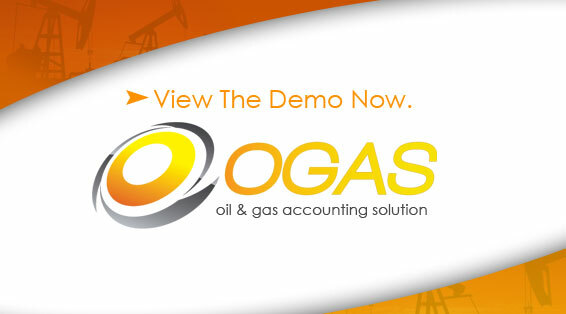 OGAS has the features of a standard accounting software package as well as features specific to oil and gas accounting. OGAS maintains a complete history, allowing the reproduction of JIB Statements and/or Invoices, RD Processing Reports, Posting Registers and other output from prior period processing. OGAS maintains a complete history for all owners, allowing the creation of most reports for any owner and accounting period. 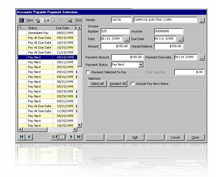 Detailed general ledger reports and financials can be created for any prior period at any time. For over 20 years, clients have relied on OGAS for accounting and reporting ease. The latest Wizard technology utilized by OGAS simplifies complex, repetitive procedures. The software can produce reports in a number of formats including Adobe Acrobat and comma delimited. OGAS is based on Microsoft Visual Basic and SQL Server 2000 for database storage and runs on Microsoft Windows. OGAS Data Entry and Processing: Data is entered in batches under the menu item, “Transactions” with the exception of “Revenue Distribution” and “Joint Interest Billings”, which have their own posting modules. All data is processed (posted) under the menu item, “Wizards”. OGAS provides edit lists to be printed and carefully reviewed prior to all batch posts. Corrections, additions and deletions may be made and edit reports reprinted prior to completing each post. Invalid (suspended or out-of-balance) data cannot be posted. Avatar Systems, Inc. is proud to offer such an innovative and useful product for our customers. Would you like to know more about what JIBlink.com can do for you? The production system combines the functionality of “Drill Down” logic with the ability to go directly to the desired level from the menu. For instance, to perform inquire or maintenance operations on the gauges for a unit, the user could select Production Units Maintenance, then Sale/Disposal Point Maintenance for the desired production unit. After selecting the desired tank battery, the user could drill down to Tank Master Maintenance. After the desired tank has been selected, the user could drill down to Gauge/Meter Entry and then inquire or maintain the gauge readings for the selected tank. This method of operation is very functional if the user is doing inquiry on information about a unit. It allows switching between unit, well and tank/meter information without exiting the form structure. However, this is not a practical way to maintain or inquire about all the gauge information for a time period regardless of the unit. In order to work at the gauge reading level, select “Daily Entry” and then “Gauge/Meter Entry” from the menu. The Gauge/Meter Entry form will be displayed and the functionality will be very similar. The main difference is that the unit number and tank/meter number can be entered. If the form is entered at this level, inquiries can be done across units and tanks/meters. If the form is entered using the drill down method, all operations will be limited to the selected unit and tank/meter.